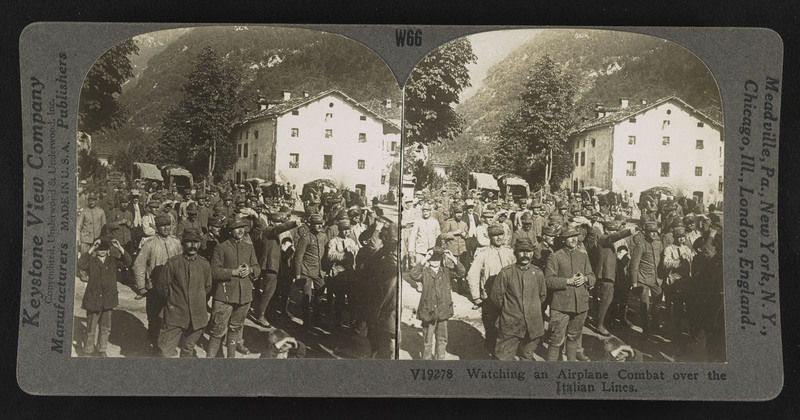 On the home front during the Great War, 100 years ago, 3D viewing of photographs was very popular, the most common means being with a Holmes Stereoscope. 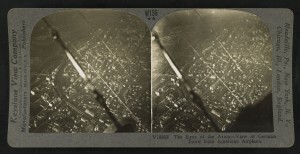 Viewers simply inserted a stereo photo card into the slot on their Stereoscope, then peered through the eye lens. Thus, they could see the scene as if they were there, with their own two eyes — albeit in black and white. 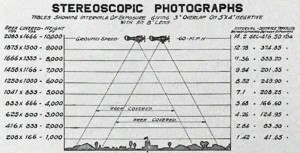 AEF Aerial Photography in 1918, using an early camera system, which the observer simply held over the side of the fuselage to get the image. 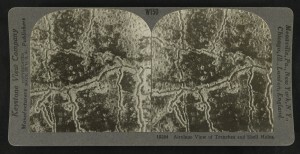 The Library of Congress in Washington, DC, has thousands of stereo photo cards in its collection. A handful feature aircraft from the Great War (1914 to 1918), giving us a fascinating view of the battlefield as it was — if in sepia tone and black and white. 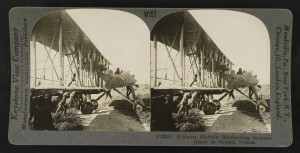 Five stereo photo cards from the collection depict the men and the aeroplanes of the day — simple photos that seem dated in their composition and yet which come alive when viewed with a stereoscope or by the above methods. 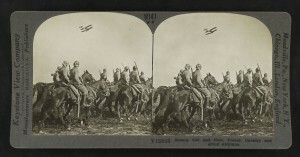 The first juxtaposes a prewar cavalry reconnaissance unit with a single airplane seen flying overhead. 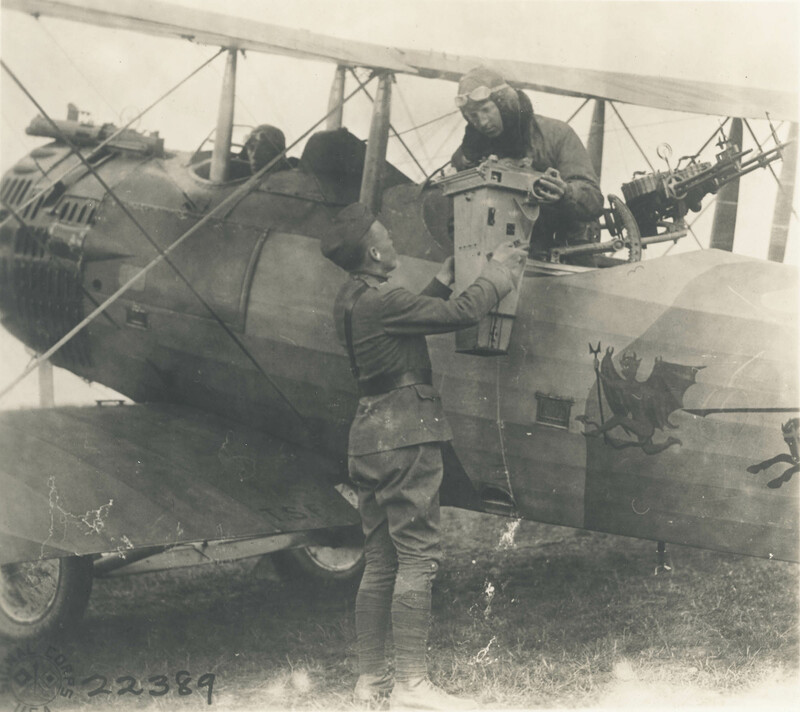 The airplane was an extraordinary reconnaissance innovation, providing wider, better, and more timely coverage of the battlefield than any lightly armed force of men on horseback could ever hope to achieve. When the Germans first advanced into France in 1914, they were preceded by 60,000 cavalry reconnaissance troops — virtually all were lost in the first months of the conflict. Airplanes offered a much better solution to the challenges of the evolving battlefield, at much less cost, both in budget and in lives lost. 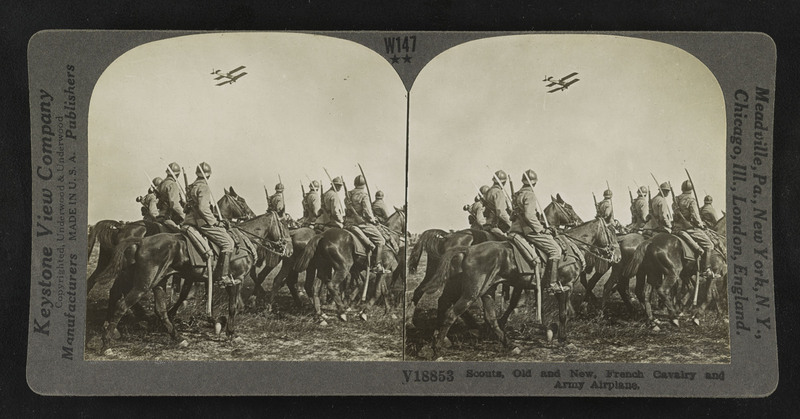 “Scouts, old and new, French cavalry and army airplanes.” Gelatin silver print, mount 9 x 18 cm, taken between 1914 and 1918, published in 1923. The second card provides a fascinating view of a French bomber readying for take off, with its vast expanse of wings and wiring providing an ideal subject for 3D stereoscopic viewing. In the notes on the back of the image, the publisher of the photo poetically describes the airplanes of the era as “Hornets of the Blue”. “Bridgnet Michelin bombarding airplane ready to ascend, France.” Gelatin silver print, mount 9 x 18 cm, taken between 1914 and 1918, published in 1923. “U.S. observation airplane on west front, France.” Gelatin silver print, mount 9 x 18 cm, taken between 1914 and 1918, published in 1923. “Lieut. 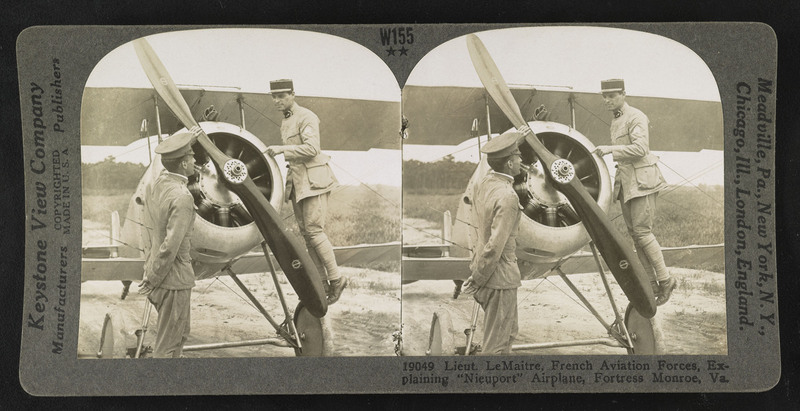 LeMaitre, French aviation forces, explaining “Nieuport” airplane, Fortress Monroe, Va.” Gelatin silver print, mount 9 x 18 cm, taken between 1914 and 1918, published in 1923. “Watching an airplane combat over the Italian lines.” Gelatin silver print, mount 9 x 18 cm, taken between 1914 and 1918, published in 1923. 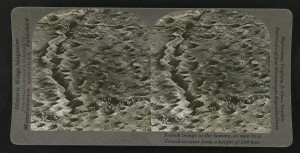 The collection even holds two stereo photo cards that depict scenes taken from airplanes. 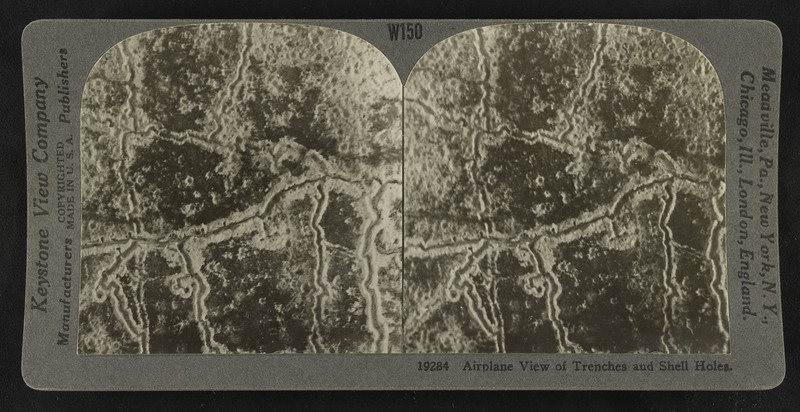 Aerial photography of the trenches was done with stereoscopic equipment, creating the interstitial distance by taking timed photos as the plane flew overhead. By placing the resulting prints side by side so they can be viewed with a stereoscopic apparatus, a lot of hidden details emerge. A table showing the timings involved based on altitudes, as depicted in the book “Airplane Photography”, by Herbert E. Ives, and published by J. B. Lippincott Company in 1920, just two years after the end of WWI. “The eyes of the army, view of German town from American airplane.” Gelatin silver print, mount 9 x 18 cm, taken between 1914 and 1918, published in 1923. 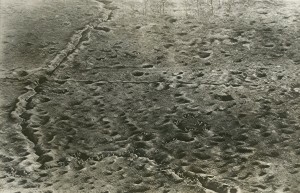 “Aerial view of trenches and shell holes.” Gelatin silver print, mount 9 x 18 cm, taken between 1914 and 1918, published in 1923. 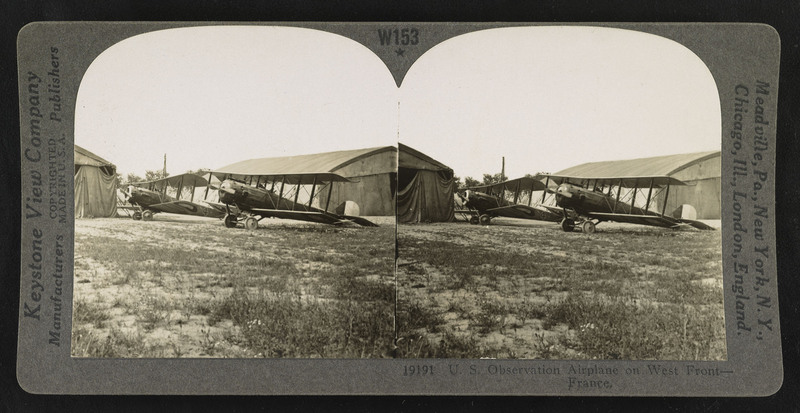 To view the above stereo photos in 3D, you can either print them out and use a stereo viewer or, for those who want to learn a bit about stereo photo interpretation, you can view them with the “cross-eyed method”. Just look at the image and cross your eyes, focusing on the ‘third image’ that will appear between the two images on the outside. If you can focus on that, you’ll see the result in 3D. 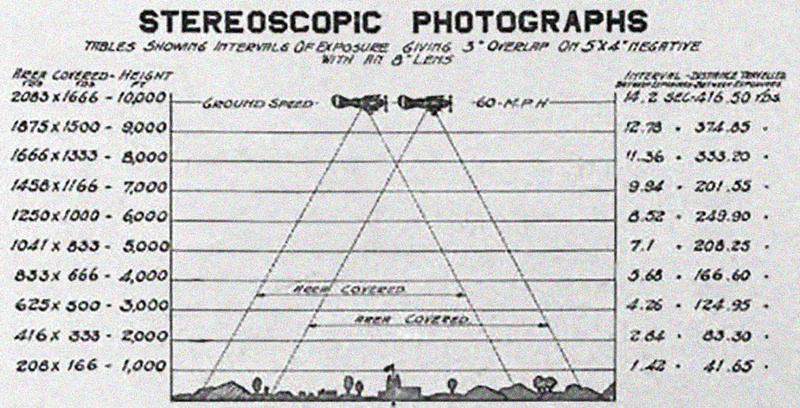 This method is widely practiced in the old days of stereo photo interpretation by military analysts. There were thousands of photographs of the front taken from the air, yet most are lost to us today. No doubt, they were either destroyed or put in archives that may never been opened again. 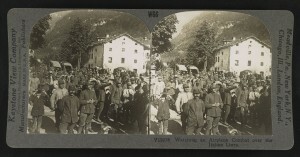 At least a handful of photographs, in stereo views, have survived. 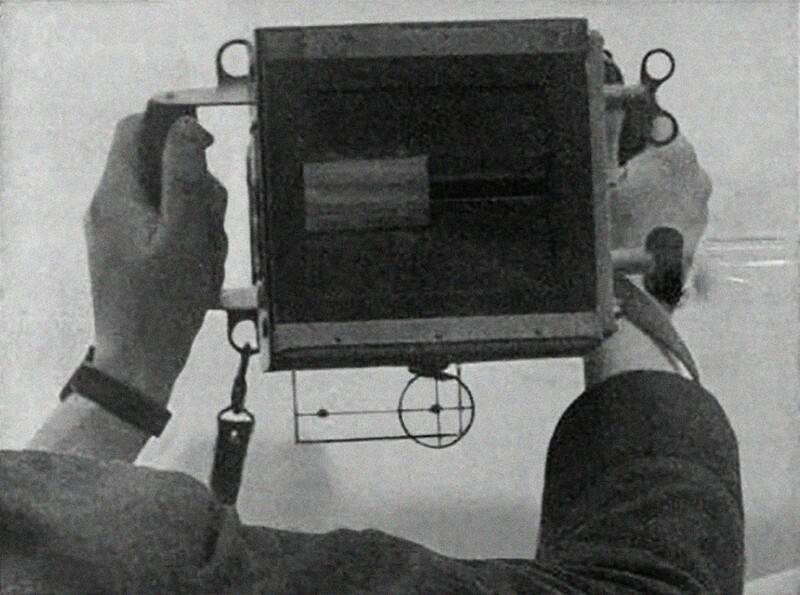 These can be seen today because they were reproduced by a civilian company that sought their sale to the general public, those who had their much loved Holmes Stereoscopes at the coffee table. 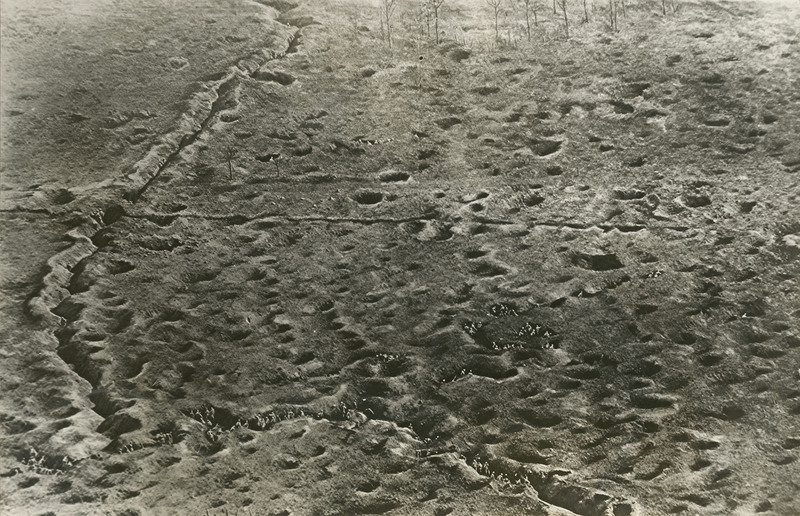 Just after the end of the war, a French Naval pilot, Jacques Trolley de Prévaux, made a movie from his airplane, flying over the destruction of the Belgian town of Ypres and showing the shell-pocked battlefield of Chemin des Dames. His film is a haunting reminder of the true cost of war. 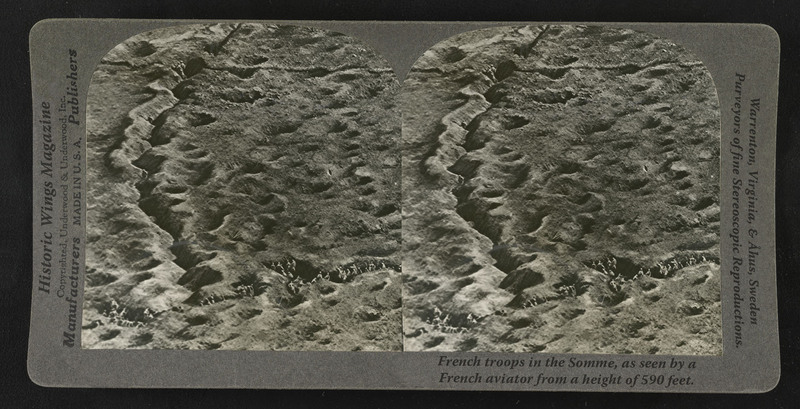 By applying modern computational dimensionality concepts to a portion of one of these old photographs, we can create a reasonable 3D facsimile of the Somme battlefield as it was seen by that unnamed French aviator in 1916 — fought exactly 100 years ago. Please let us know if you experience the added dimensionality by posting a comment below! The battle of the Somme, French troops in the trenches during the fighting — a modern 3D rendering created by Historic Wings Magazine. Click to view full size! Great article. Very interesting, and shows yet another light on man’s power to invent if needed. I believe the film was made from an airship rather than an aeroplane and that he filmed much of the Western Front, not just over Ypres.